Scout and I decided to shave Lewis today. What a brilliant idea. We did have some reasons for this decision, although looking back on it, we should have thought about it a little more. We have friends that just shaved their yellow lab, and she looks great. However, we failed to consider that Lewis is actually half Springer Spaniel, so his hair isn't necessarily the same as a full bred Labrador (and all of his hair is white underneath!). Also, Lewis sheds hair like a snake sheds skin...so sweeping is an everyday chore (well, I don't know how often a snake sheds skin, but whatever). This was actually our best reason for shaving Lewis...and I'm almost positive he won't be shedding any time soon. So, enjoy the pictures of my formerly cute dog. Oh my gosh....what did you do to my granddog!!! Poor Lewis...I'm calling the DPS (dog protective services). I wonder how long it will take to grow back. Give Lew a hug for me. Looks like you'd better get knitting! !That dog looks cold.where's his SWEATER??? I made an attempt @ this, once...NEVER MORE!!! I am cracking up! I can't stop laughing! Poor Lewis! Toby has looked that way before too. And what was your reason for shaving him in the first place? Poor little doggie. I don't think he looks that bad . 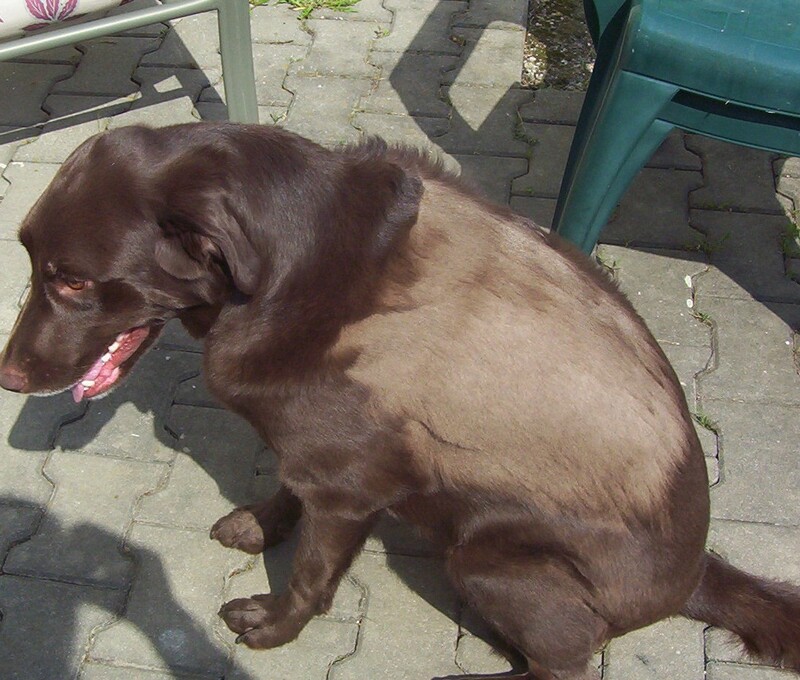 . . now when poor Charlie got the shave he looked embarrased. He is a beautiful dog . . . love labs.